Are they tacos? Well, they’re not not tacos. Established in 2018, by San Diego hospitality group Grain & Grit Collective and TV personality, author, and cook-extraordinaire, Sam “The Cooking Guy” Zien, Not Not Tacos serves up genre-bending fare that pushes the envelope of culinary creativity. 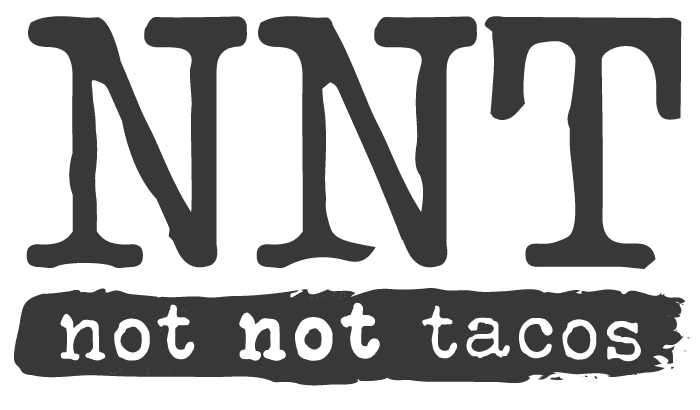 Imagined by Zien and brought to life as team, the concept of Not Not Tacos is to breakdown preconceived notions of “tacos” and provide fiercely-innovative and unexpected items. These aren’t your typical Mexican-influenced tacos; no carnitas, pollo, or carne asada here. These are big, bold, full of flavor and made from things not normally found in a taco (looking at you meatloaf, salmon & pastrami). Lunch: $10 for Your Choice of Two Tacos + a Fountain Drink.